As I sit here and write this post, I am watching the snow fly outside the window of my office. I can only think of all the Quonset Huts that we have sold over the years that are protecting customers from all of the inclement weather we have been experiencing this so far this winter. Most of us on the East Coast have never heard of an Arctic Vortex. I am sure there are many of our customers right now in their Quonset Hut kits that Powerbilt has provided either dodging rain drops, ice pellets or snow flakes. The Quonset Hut design has evolved so much over the years the technology is tremendous. 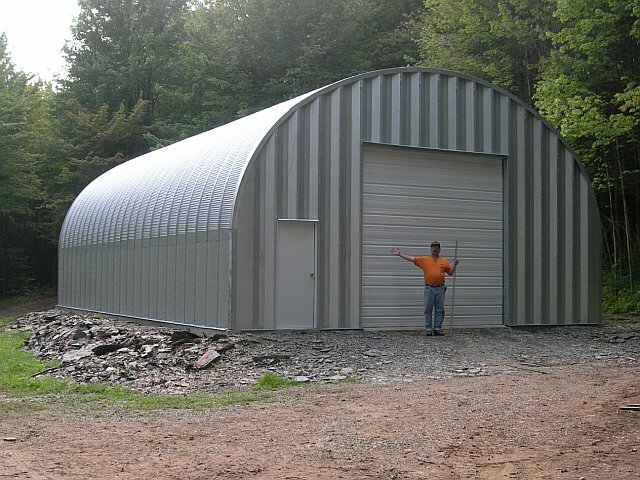 The ease of construction makes is so easy to build a quonset hut for weather protection, The agricultural community has used these buildings for hay storage, equipment storage and just plain shelter from storms.